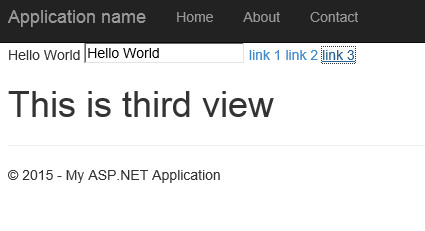 In the first part we just configured angular JS application in ASP.NET MVC. You may have noticed that we accessed the scope variables of DemoController using $ sign. This time we will use the $route variable to route and open different views in a single page container where ng-view will be defined. $ is a prefix that could be a property, method, variable that part of the core of AngularJS. When naming services controllers etc. it is recommended to not use $ prefix with your custom object names to avoid conflicting issues. 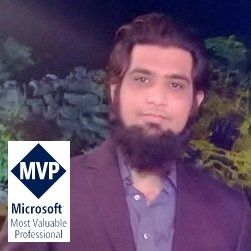 In this exercise we will add routing module in the MyApp.js, configure routing statements and open the ASP.NET MVC views inside a div on a single page container. First of all add the Angular Route package from NuGet Manager. 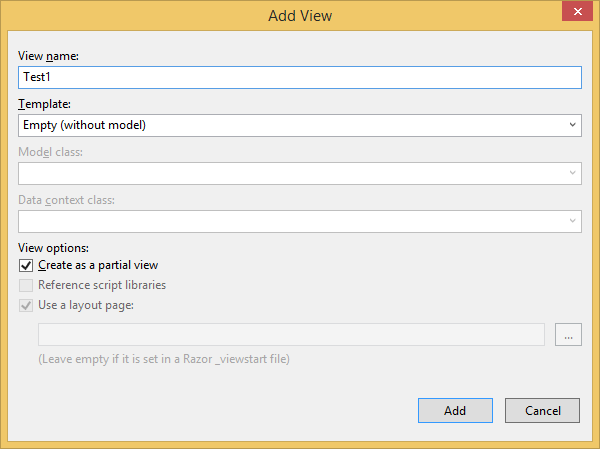 Add a reference using NuGet Package Manager and search angular js route. 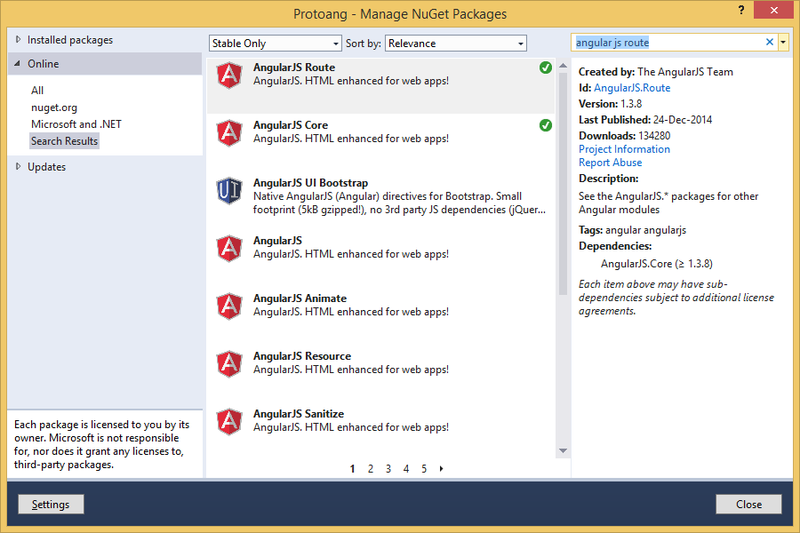 You will see the AngularJS Route package in the Manage NuGet Packages windows. Just add it. 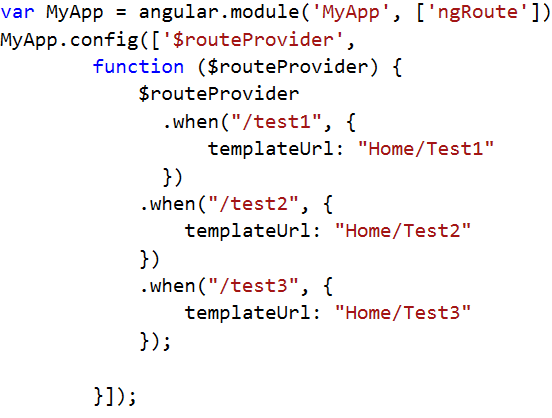 This tells the angular app to use the routing module. Once added, do these steps for ou can specify the name Test1 and check on foldera div on a single page container. d confilcting rest two methods as well namely Test2 and Test3. Now, inorder to open these view from angular we have to add a routing. 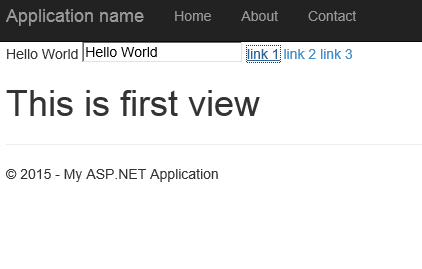 Now add a div with ng-view attribute on it. Angular automatically opens up the page on all the containers like div, body etc where the ng-view is defined on the landing page container. Let’s build and run. 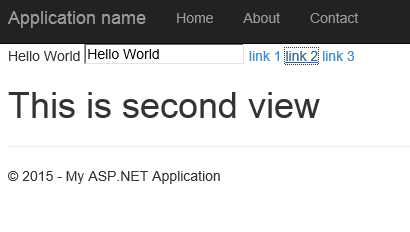 Click on link1 and it opens up the page inside div where ng-view is defined. This covers up our second part where we used the routing feature of Angular JS. In the next post we will create factories to access database using Web API and Entity Framework as data access persistence.